Ranbuild Sydney has a sensational new architectural skillion buildings range for sale in Sydney! With your choice of cladding and roof configuration, the ability to mix and match horizontal or vertical profiles provides a unique appeal for contemporary settings. 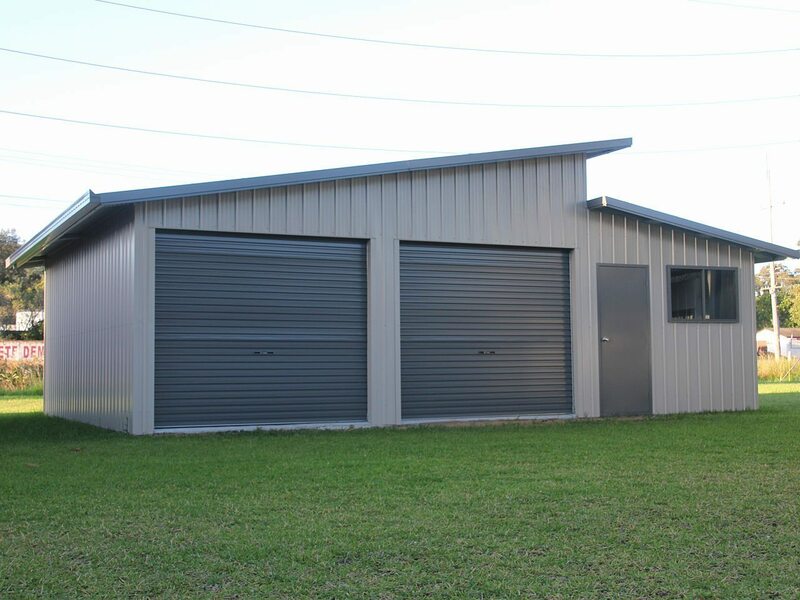 The modern clean slim lines and economical profiles of quality BlueScope cladding is right at home in these new designs and offer outstanding value. 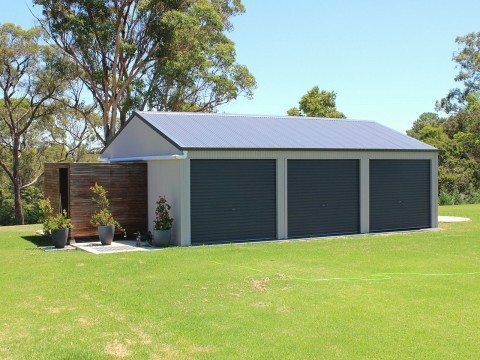 The new architectural skillion range is available in a wide range of Colorbond® colours and easily accommodates your choice of additions like windows, personal access doors, roller doors and ventilation accessories. The skillion roof can be applied to most existing shed types without any compromise to uses, strength or durability.